No-Obligation Instant Valuation We offer an instant online valuation, just click on the links for an indication of what your property is worth. 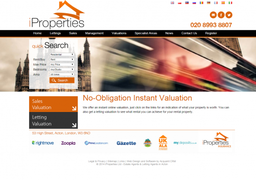 You can also get a letting valuation to see what rental you can achieve for your rental property. Lettings At iProperties, we take an intelligent and thoughtful approach to dealing with rentals, both for the landlord and the tenant. We know the importance of taking the time to understand the uniqueness of both the property and individuals behind it. Managing your own property is a big responsibility and can put a lot of stress on your schedule. We're more than happy to take that burden and replace it with your peace of mind. Sales Buying or selling a property can be a daunting experience, whether it's your first sale/ buy or whether one of many. A property can mean many things to many different people. Buying a home can mean an exciting business opportunity, or it could mean a place to start a family. With iProperties, you are guaranteed an impeccable standard of service from a team who fully appreciate the importance and seriousness involved in buying or selling a home. That's why we only work with the leading staff in the industry, to ensure your peace of mind and a seamless chronology of events. We have extensive experience of London's property market and are always happy to share our insights, providing you with as much detail on your area of focus as possible. So by the time it comes to buying or selling, you will be as well informed as your agents. Management At iProperties, we are dedicated to maintaining our reputation as the go-to estate agents for the perfect home. We'd like to think that we cover every one of your property related requirements, from helping you find or sell your rustic church conversion, to making sure that all aspects of the day to day maintenance and up keep of the property are taken care of. We handle all aspects of property maintenance, from the small details to the bigger picture: no task is too big or small for us when it comes to the peace of mind of our clients. Our highly specialised team will take of all your enquiries efficiently and get you your desired results as soon as possible. This means a more harmonious experience for both our lettings customers as well as our tenants. 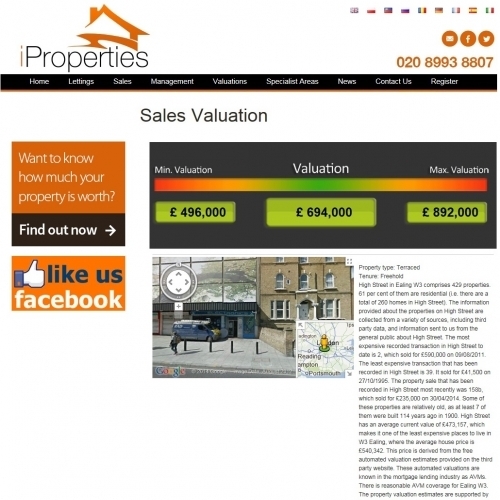 Property News At iProperties, we are keen to keep our clients updated with the latest news relating to properties and its market. 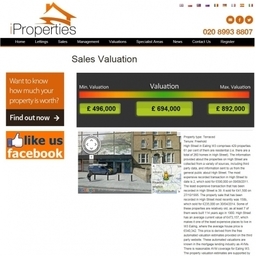 You will be kept up to date with the latest regulations, interest rates, mortgages, banks and other estate agent news.